As the country battles to get to grips with current power outages, the interruption of mobile phone signals and ATM downtime as a result of load shedding have added a new dimension to ongoing electricity woes. The country's largest mobile phone operators say although their reception towers have been able to withstand power outages, connectivity could be compromised if load shedding exceeded the capacity of backup batteries. MTN said its signal towers were supported by generators and backup batteries, in an attempt to maintain communication for its customers. "However, operational impact was still felt where the frequency of the load shedding exceeded the capacity of the back-up devices... Where consecutive load shedding took place, batteries were unable to fully recharge, resulting in reduced back-up times," the company said in a statement. According to MTN, the uncertainty surrounding the envisaged stages of load shedding and duration put "additional strain on the network" due to prolonged power cut times and frequency of load shedding which compromises battery backup. "The end result is increased operational costs for operators." MTN said its batteries generally had a capacity of 6-12 hours and required 12-18 hours to recharge, depending on the battery technology type. Vodacom stated that load shedding might lead to "intermittent issues with your signal" but the downtime should "pass as soon as power is restored". 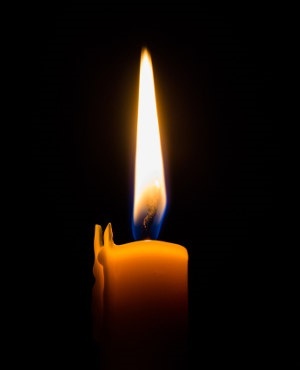 On Sunday, Eskom resumed load shedding for the first time since December, due to the failure of a number of generating units, among other things. Current power outages have reached stage 4, allowing for 4 000 MW to be cut from the national grid. Stage 4 means power supply could be scheduled for load shedding 12 times over a four-day period for two hours, or 12 times over an eight-day period for four hours at a time. There had been no rotational power cuts over the Christmas season and during January, after Eskom assured the public that it would keep the lights on during the festive season, amid generation challenges. Eskom has also warned customers to ensure that they have enough fuel in their cars as some petrol stations cannot pump fuel during power outages. ATMs could also shut down if they do not have backup power. Absa said although the majority of their ATMs across the country were backed up by Uninterrupted Power Supplies (UPS) some machines may be impacted by the blackouts. Standard Bank said its machines were also equipped with UPS devices. "With load shedding having been reinstated this week, it has impacted on our ability to dispense cash or perform transactions on some of our ATMs," said spokesperson Ross Linstrom. Eskom has not yet indicated when its generation problems might stabilise.